LiveMD takes a look at common women’s health issues and discusses the importance of seeking advice from a gynecologist or obstetrician. An Obstetrician/Gynecologist is very important in dealing with women’s healthcare issues. The profession of obstetrics deals specifically with childbirth and the care of pregnant women. Proper prenatal care, while pregnant, will ensure the good health of your baby and a delivery by a trained obstetrician can help to ensure a smooth labour and delivery and can provide proper aftercare for both mom and newborn. A Gynecologist is specifically trained in the health of the female reproductive system. There are many different diseases and disorders that are specific to women and a gynecologist is the right doctor to see with any sexual or reproductive health issues. They can assist with birth control issues, STD’s, menstrual problems, menopause and any other diseases specifically related to a woman’s genital and reproductive health. Menstruation Complications – Many women experience different problems with their monthly period, also known as menstruation. Irregular periods, heavy bleeding, severe premenstrual symptoms or painful cramping are all common issues that a gynecologist can help with. Pregnancy – Proper prenatal care is very important for the health of an unborn child. An obstetrician can help monitor the health of a baby and provide the mother with nutritional and other information to ensure that she is in the best health to carry her baby. An obstetrician can also deal with issues such as gestational diabetes, preeclampsia, miscarriages or infertility. STD’s – There are numerous different sexually transmitted diseases that can affect the health of a woman. Some of these are easily cleared up with a course of antibiotics while others like hepatitis C or HIV are not curable and can be life threatening. 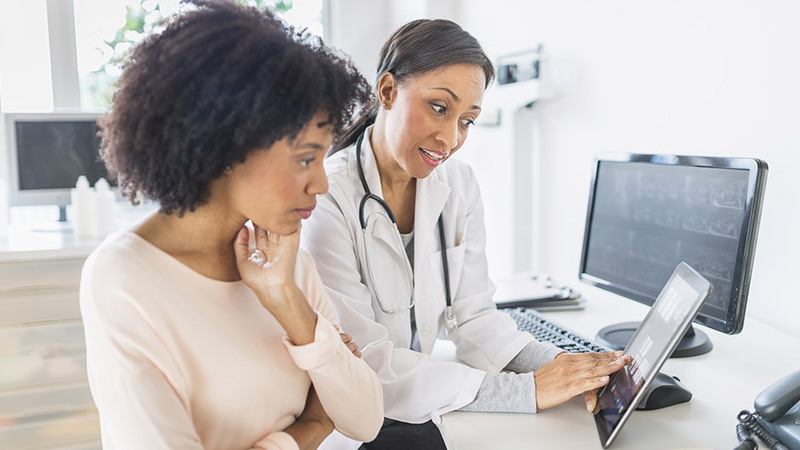 A gynecologist can provide information on how to protect yourself from contracting one of these infections and can provide treatment options in the event that an infection does occur. Cancer – There are many different cancers that are specific to women. Uterine cancer, cervical cancer and vaginal cancer are just a few. A gynecologist can help to diagnose these cancers and can assist in the treatment process. Regular visits to a gynecologist are important for a women to ensure early detection of any diseases and to help prevent future illnesses from occurring. Yearly PAP tests can help identify cancer and a regular visit will allow you to ask any questions or bring up any issues that you may be experiencing. If you notice any changes in your period or have any concerns then it is time to visit the gynecologist. A visit to the obstetrician is in order as soon as you find out that you are pregnant or if you are trying to become pregnant. The obstetrician can provide fertility options and monitor the health of your unborn child. If you have questions about women’s health and would like to speak to a doctor, visit our website today. We have both obstetricians and gynecologists who are available to help you with all of your needs right away. Visit www.mylivemd.com. Select a Gynecologist below and talk by Phone, Text, Video Chat, or In-Person.